China is one of five geographic focal points named in Emory's global strategies, a blueprint for the University's engagement around the world. Throughout October, Emory's Halle Institute for Global Learning and Confucius Institute in Atlanta will co-host a series of China-focused events with The Carter Center China Program. Key events this month include an Oct. 6 lecture on Sino-U.S. relations after the G20 summit by Zhao Yumin, the deputy consul general from the Chinese Consulate in Houston, and an Oct. 17 talk on the diverging strategic assumptions and perceptions of the U.S. and China featuring David Firestein, senior vice president of the EastWest Institute. The 10th Annual China Town Hall Meeting, conducted by the National Committee on U.S.-China Relations, takes place Oct. 18. Also this month, the Halle Institute hosts the Emory-Nanjing Research Symposium on climate change and air pollution. The U.S. and China, the world's largest emitters of greenhouse gases, face similar trials around climate change that require innovative solutions. By working together to respond and adapt to climate change, the two countries have the potential not only to advance toward their greenhouse-gas reduction goals, but also to improve their relations and mutual understanding. Following a closed two-day symposium exploring the potential for Emory and Nanjing University to work together on climate research, faculty from both universities will hold a public session, "Beyond Diplomacy: Opportunities for U.S.-China Cooperation on Climate Change," on Oct. 12. The public discussion, presented by the Halle Institute and The Carter Center China Program, will explore the two universities' collaborative proposals on energy, air pollution and agriculture, and how these projects can contribute to solving pressing problems in the world. 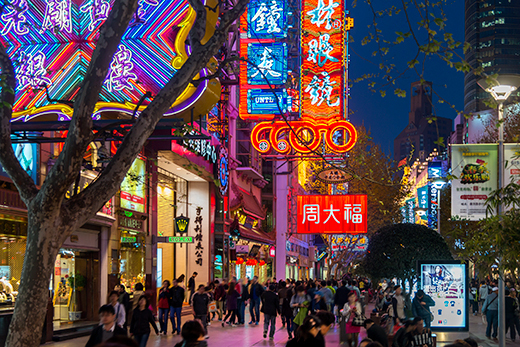 China is one of five geographic focal points named in Emory's 2015 global strategies. These strategies serve as a blueprint for Emory's global engagement. The initiatives are designed to equip students to meet the opportunities and challenges of an increasingly interconnected world, empower faculty to lead and influence global scholarship and research, and position Emory as a university known for its global impact. Engagement with China is central to serving these goals. Chinese students make up eight percent of Emory's overall student body and are the university's largest international student population. In addition, Emory has more than 100 faculty conducting China-related research and scholarship, and China is the second-most common destination for Emory faculty traveling abroad. Since designating China a priority location, Emory has deepened its ties with Nanjing University, primarily in the area of research collaboration and conference presentations. This month's symposium on climate change is an example of the possibilities in this partnership. For more information about any of the events, please email global@emory.edu. Thursday, Oct. 6, 4 to 5:30 p.m.
Lecture by Zhao Yumin, deputy consul general from the Chinese Consulate in Houston. Register. Wednesday, Oct. 12, 4:15 to 5:30 p.m.
Grace Crum Rollins Building, Rita Anne Rollins Room (8th floor)Panel discussion with students and professors from Emory and Nanjing University on topics including air quality, coal and agriculture. Register. Monday, Oct. 17, 4 to 5:30 p.m. Presentation features David Firestein, senior vice president of the EastWest Institute. Part of the Emory University-Carter Center U.S.-China Relations Speakers Series. Register. Tuesday, Oct. 18, 5:30 to 8 p.m.
Part of a program taking place at more than 70 locations nationwide. Features a speech by Kurt M. Campbell, chair, CEO and founding partner of The Asia Group, LLC, and a live webcast with former Secretary of State Henry Kissinger. Register.